Dating back to 1000 BC, Bharatanatyam is a classical dance from the South Indian state of Tamil Nadu, practiced predominantly in modern times by women. Bharatanatyam is a major genre of Indian classical dance that originated in the Hindu temples of Tamil Nadu and neighboring regions. Traditionally Bharatanatyam has been a solo dance that was performed exclusively by women, and expressed Hindu religious themes and spiritual ideas, particularly of Shaivism, but also of Vaishnavism and Shaktism. Bharatanatyam and other classical dances of India were ridiculed and suppressed during the colonial British Raj era.In the post-colonial period, it has grown to become the most popular classical Indian dance style in India and abroad, and is considered to be synonymous with Indian dance by many foreigners unaware of the diversity of dances and performance arts in Indian culture. 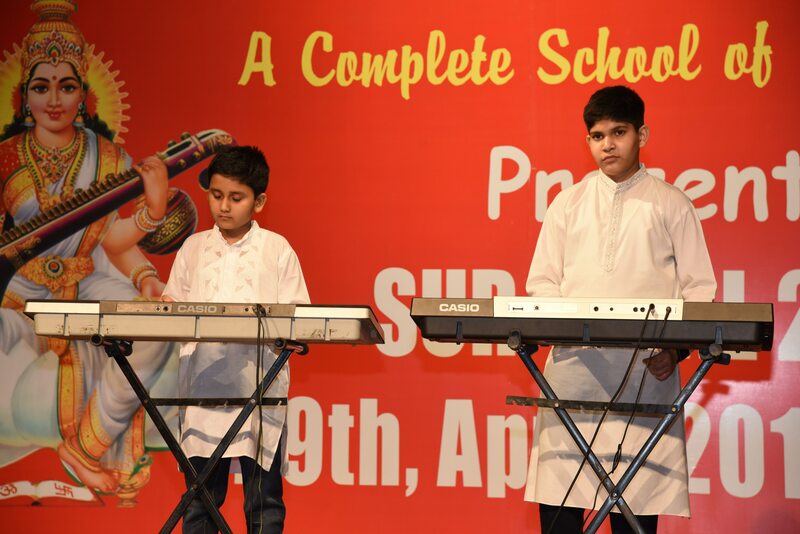 Kadambari Sangeet Mahavidyalaya, Is The Academy With All The Subjects Of Music , Dance , Instruments, Fine Arts. We Have Classical Dance As Well As Western Dance, Classical Vocal Also Light Vocal, All Classical Instruments And Western Instrument, Sketching As well As Painting Classes. KADAMBARI SANGEET MAHAVIDYALAYA VAISHALI A COMPLETE SCHOOL OF MUSIC AND DANCE, DANCE CLASSES, GUITAR CLASSES, MUSIC CLASSES FOR VOCAL, DRUM CLASSES, KATHAK CLASSES, CLASSICAL DANCE, BHARATNAYAM CLASSES, FINE ARTS CLASSES, KEYBOARD CLASSES, CASSIO CLASSES, SYNTHESIZER, RAMPRASTHA GREEN GATE NO 1, NEAR RAJKAMAL BANQUET HALL SECTOR 4 VAISHALI CONTACT FOR TRIAL CLASSES 9560393095, 8285438265, 0120-6470533. VAISHALI GAZIABAD.